Archive Backup Client™ (ABC) is the OpenVMS™ implementation of the IBM Spectrum Protect™ backup-archive client. ABC is available for the OpenVMS I64, OpenVMS Alpha, and OpenVMS VAX operating systems. Using ABC commands, you can back up and archive data from your OpenVMS client to an IBM Spectrum Protect server that is running on another operating system, and restore and retrieve data as necessary. ABC commands can be issued directly from the DCL command line or from an interactive session. ABC commands can also be executed using a traditional OpenVMS command procedure. 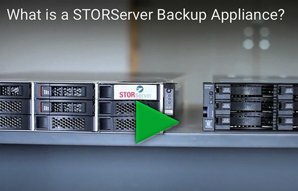 Contact our sales department for more reasons to consider adding STORServer ABC to your backup strategy! Attention European Archive Backup Client (ABC) software customers. BAS-Europe, aka BAS-Telecom, is not authorized to resell or represent STORServer or SSSI products, and we have had no official relationship with BAS-Europe since 2006. Any software licenses or maintenance that is being purchased from BAS-Europe is not authorized by STORServer, and does not provide STORServer manufacturer support or access to software or updates from our download area. STORServer would like to help you resolve issues that have been created by this unauthorized activity and bring you into license compliance. Please contact STORServer immediately through our contact form or call 1-800-550-5121 x7309.